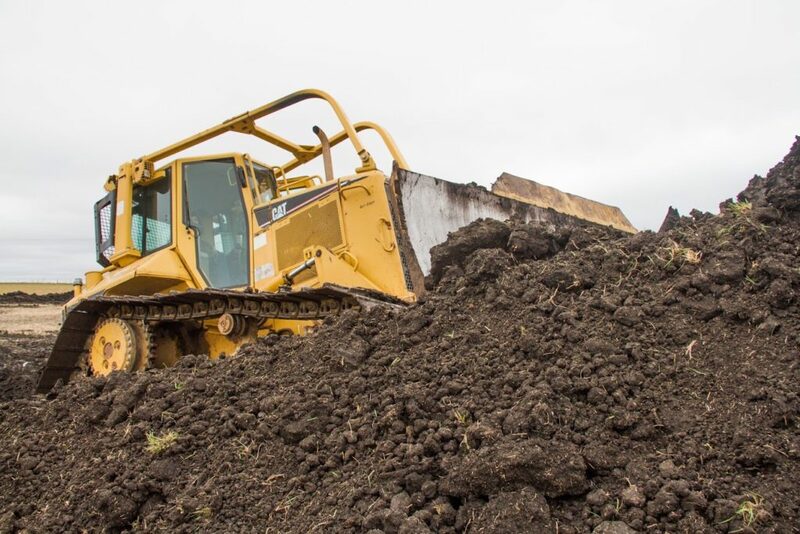 Sculpt the contour of your soil. 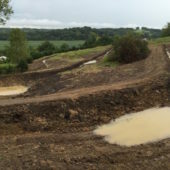 Reconstruct a wetland, build swales and pocket ponds to capture rainfall, or restore a gently sloped stream. 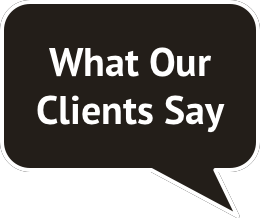 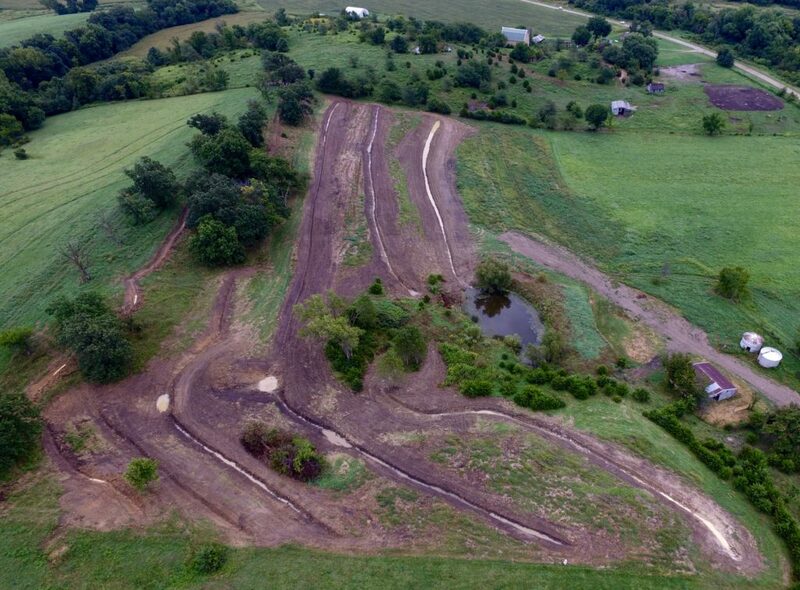 Earthworks can improve water quality, reduce soil erosion, and increase the profitability of agricultural land. 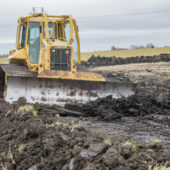 Naturally poorly drained areas of the land may be well-suited for wetland restoration. 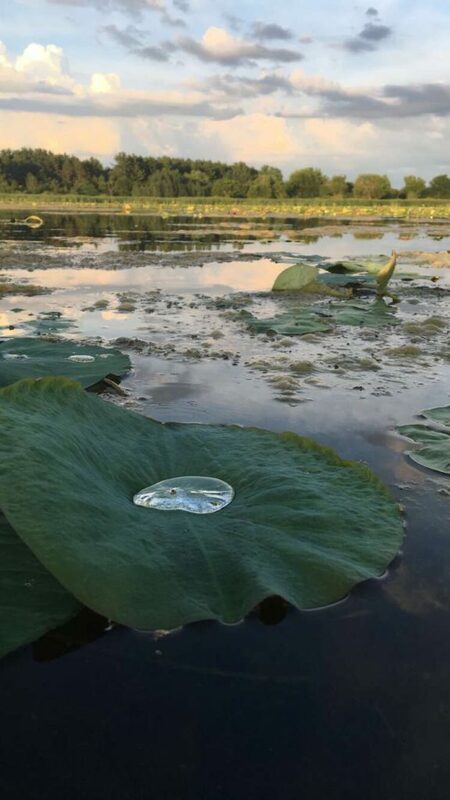 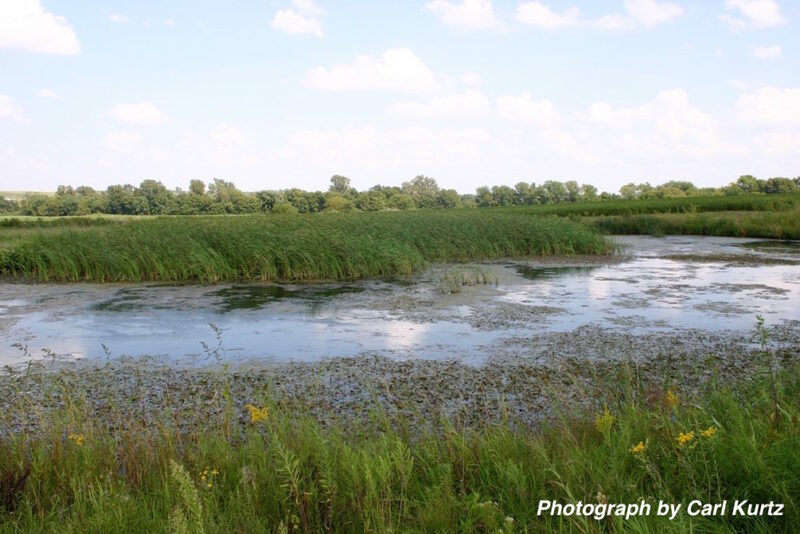 Wetlands are the most biologically productive ecosystem in Iowa, and like the liver in the human body, they purify water and remove toxins. 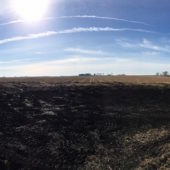 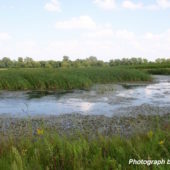 Many of Iowa’s native upland (palustrine) wetlands were fairly shallow and seasonally variable in depth, enabling water-loving prairie plants to grow throughout them. 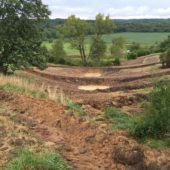 Through earthworks, we can create a shallow depression on the landscape where water flowing from surrounding land can be collected, held longer, and filtered by native plants and microorganisms. 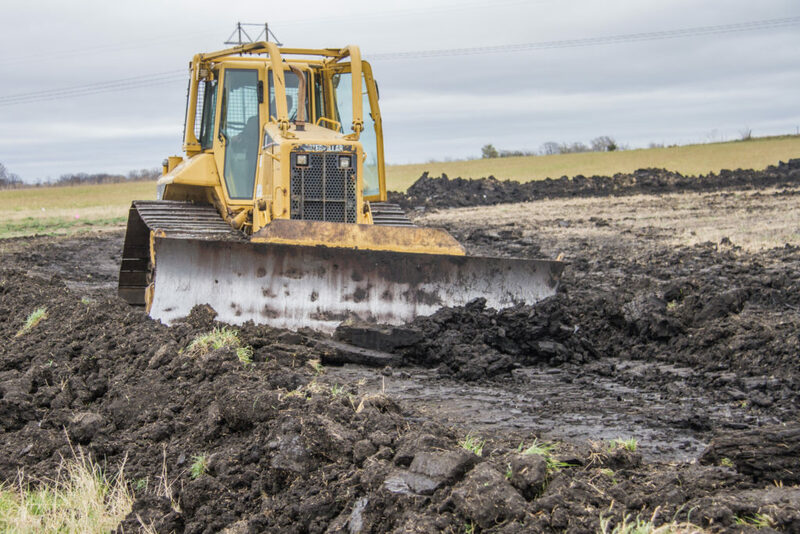 If a wetland is constructed in a crop field, non-perforated drainage tile is placed beneath the wetland to ensure that it does not inhibit drainage outside of the wetland restoration area. 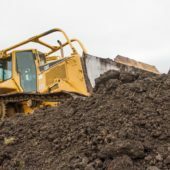 Prudenterra can manage the restoration of your wetland, from planning, to laying non-perforated tile and constructing earthworks, to seeding and establishing native wetland species. 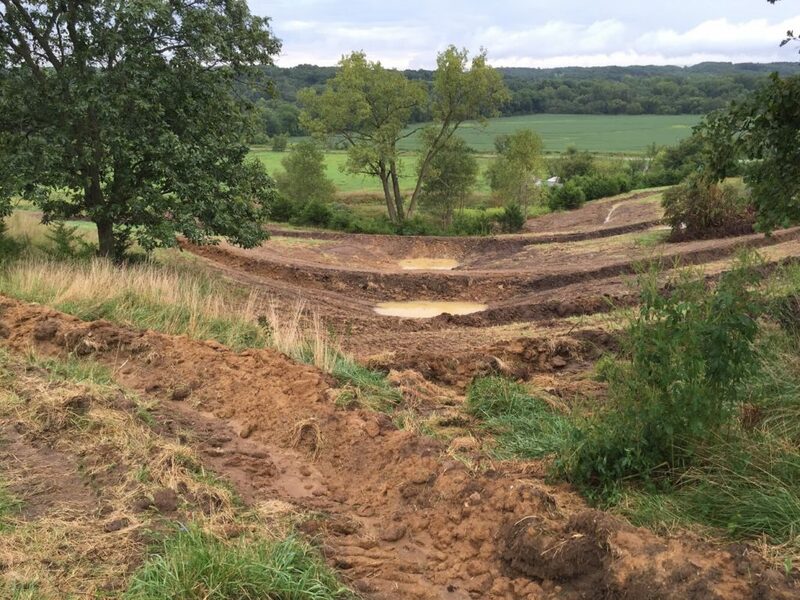 Swales are shallow trenches, constructed on the contour at a 0% to 2% slope to slowly capture and redirect water from saturated valleys to dry hillsides. 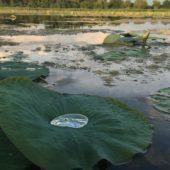 By capturing rainfall high on the landscape, swales enable it to soak in and be uptaken by plant roots. 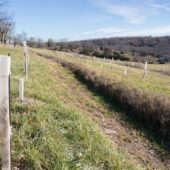 They are used to increase the productivity of tree crops and pasture on hilly ground, and prevent flooding at the base of the slope. 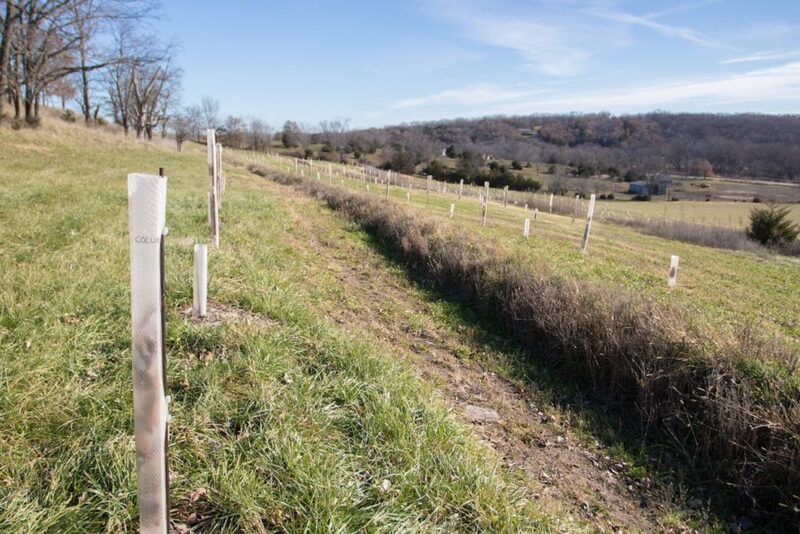 Swales also decrease erosion by slowing the flow of water as it moves across the landscape. 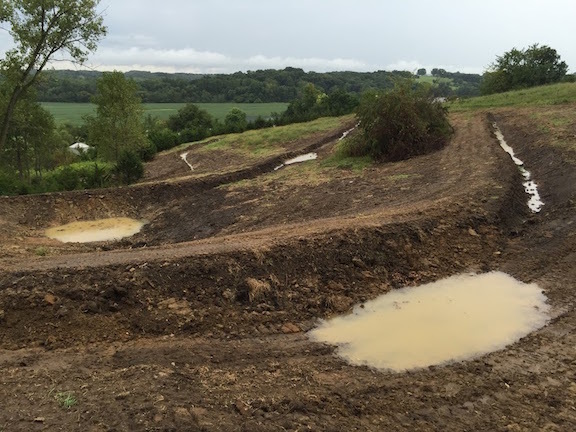 When the swales fill up in a heavy rain, excess precipitation flows to small earthen catchments called pocket ponds. 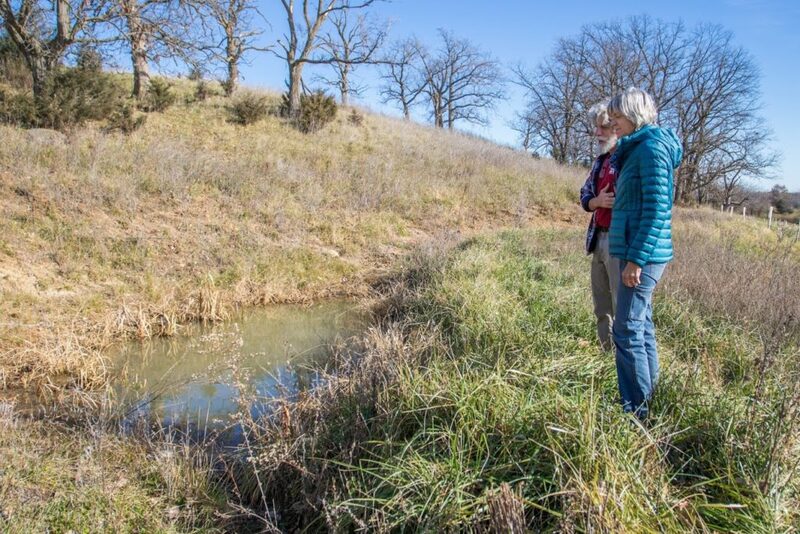 Pocket Ponds hold water throughout the landscape for livestock or to irrigate tree crops. 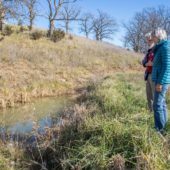 They also provide excellent habitat for amphibians and a water source for other wildlife. 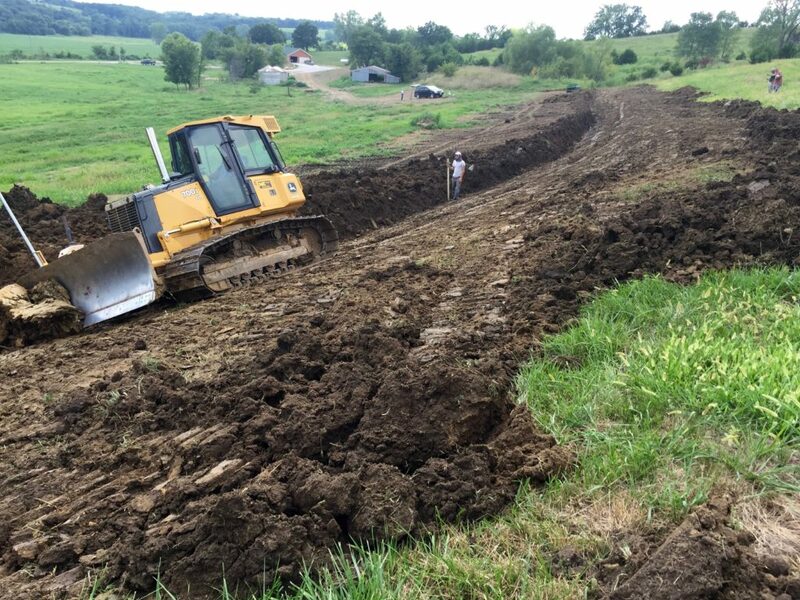 Read about the installation of swales and pocket ponds on a farm near Albia. 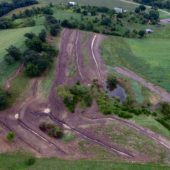 Earthworks can be used to re-shape and stabilize large streambanks, or slow the flow of water with step pools or stilling ponds. 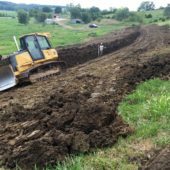 They can also be used to remeander streams that were previously mechanically straightened. 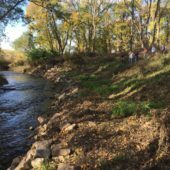 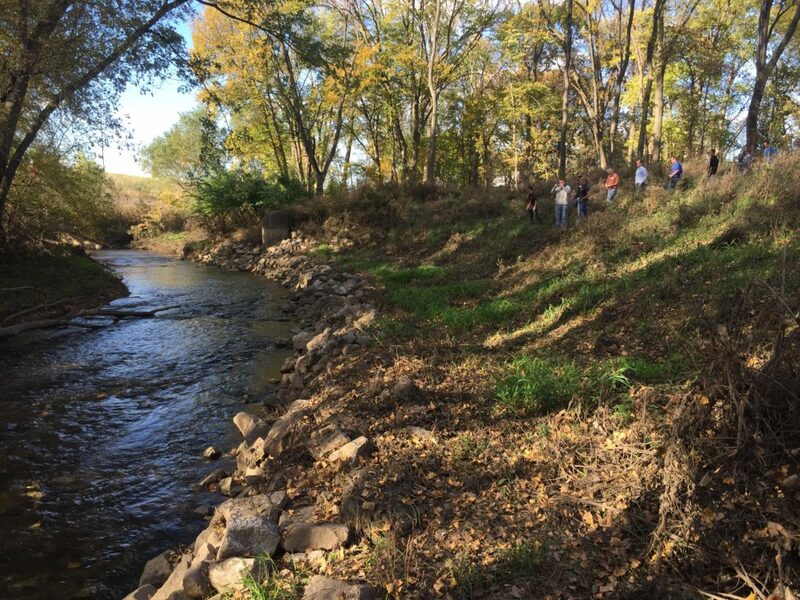 Re-meandering slows the flow of the water to reduce streambank erosion and give plant roots time to filter out pollutants.